Cannabis. Weed. Bud. Whatever you choose to call it, it’s been a health aid, comfort, and life-enhancer for humankind for more than three thousand years. But while cannabis is used by hundreds of millions of people around the world, more than a century of prohibition has resulted in confusion about its status: Is it healthy? Is it medicinal? Will it make you crazy? 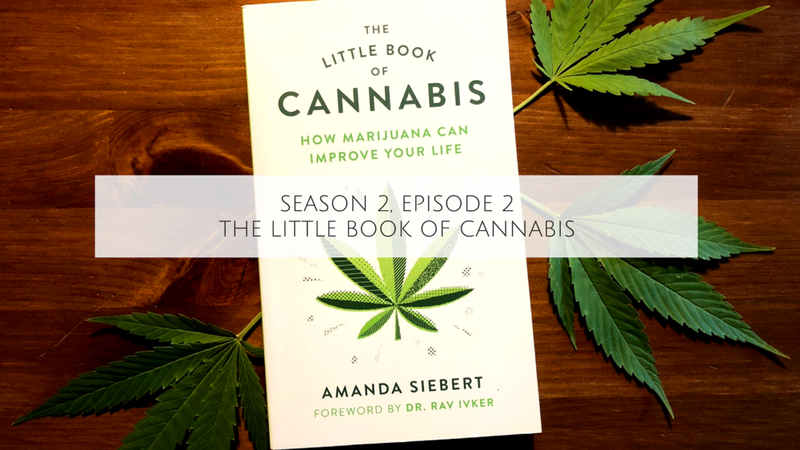 This week, Amanda Seibert joins us to talk about her new book The Little Book of Cannabis; How Marijuana Can Improve Your Life in which she explores the latest research to separate cannabis fact from fiction. Based in Greater Vancouver, B.C., Amanda Siebert is an award-winning journalist and photographer best known for her work as the first-ever cannabis editor at the Georgia Straight. When she’s not writing, making photographs, or indulging in the herb, she enjoys road trips, practicing Brazilian Jiu Jitsu, and taking her dog, Honey, to the beach.